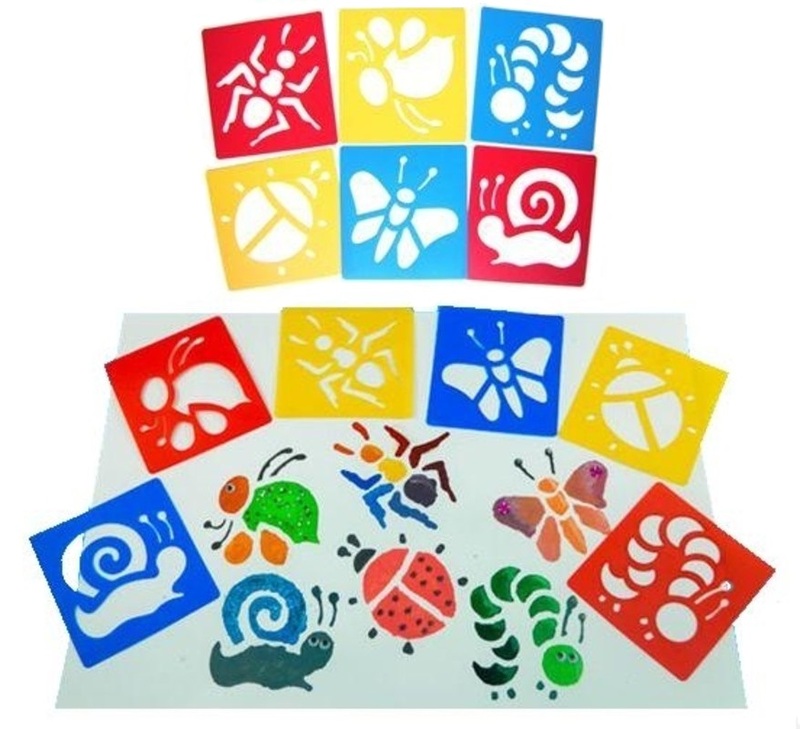 Large plastic stencils for children with a jungle animal theme. 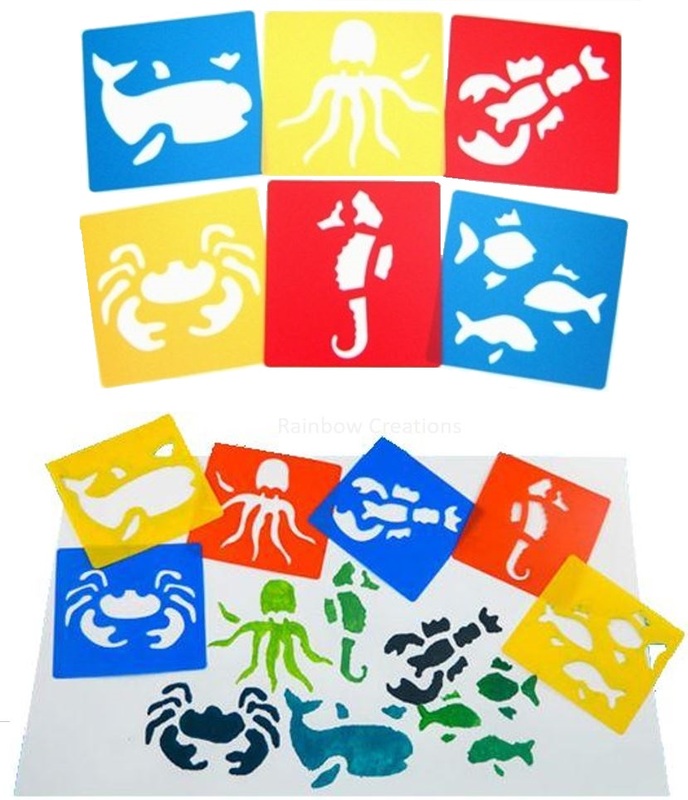 Use drawing round or colouring in. 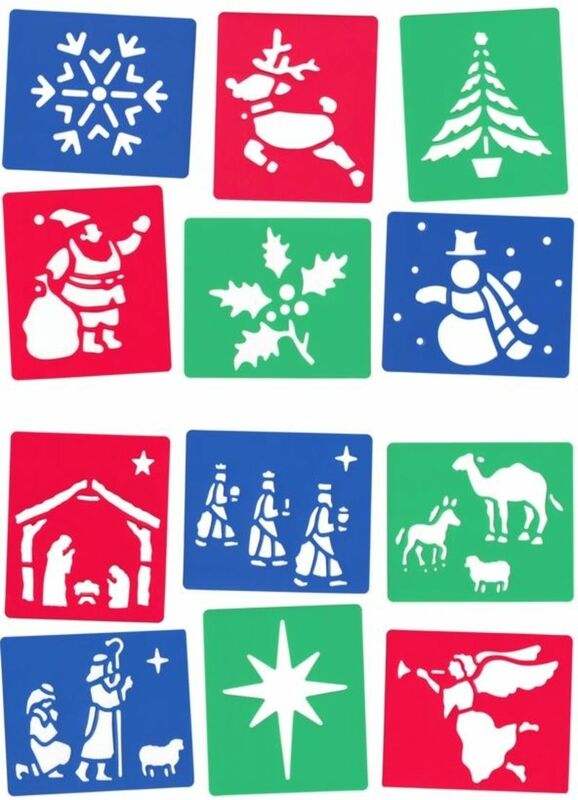 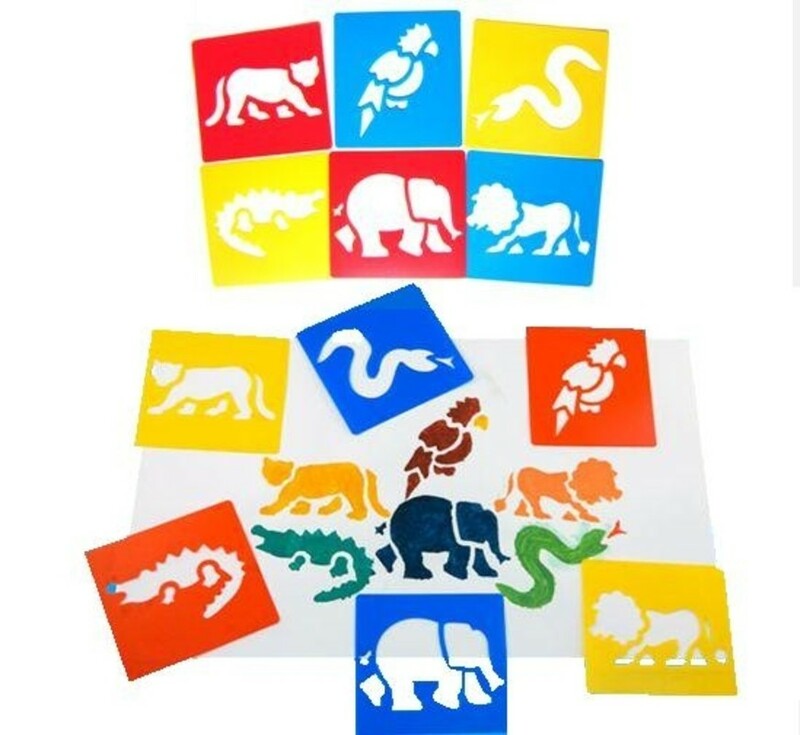 A set of six stencils including a snake, a parrot, a panther, a crocodile, a lion and an elephant. 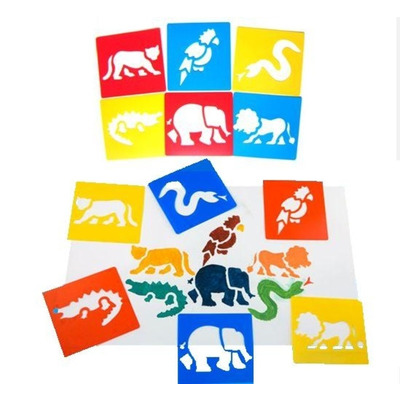 This set is perfect for making jungle pictures or a collage, drawing and painting animals for a jungle themed bedroom or party.